Wound healing and migration assays are done by seeding cells into the Culture-Insert 3 Well. 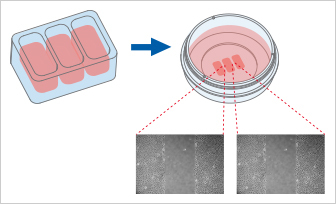 After cell attachment, two cell-free gaps are created in which the cell migration can be visualized. 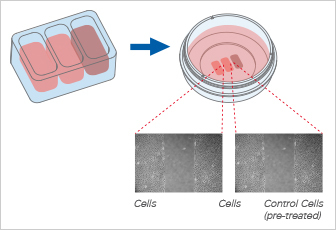 Compared to the 2 well version, more cells can be analyzed and a higher throughput is achieved. 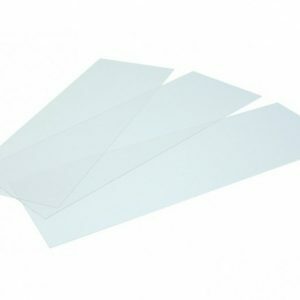 Two cell-free gaps create a technical replicate in the very same plate or dish. 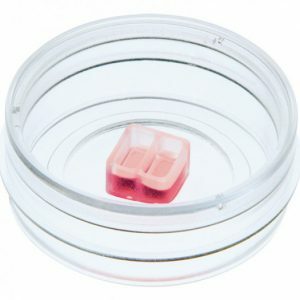 With the Culture-Insert 3 Well, a wound healing experiment and a control experiment can be done in the same well. 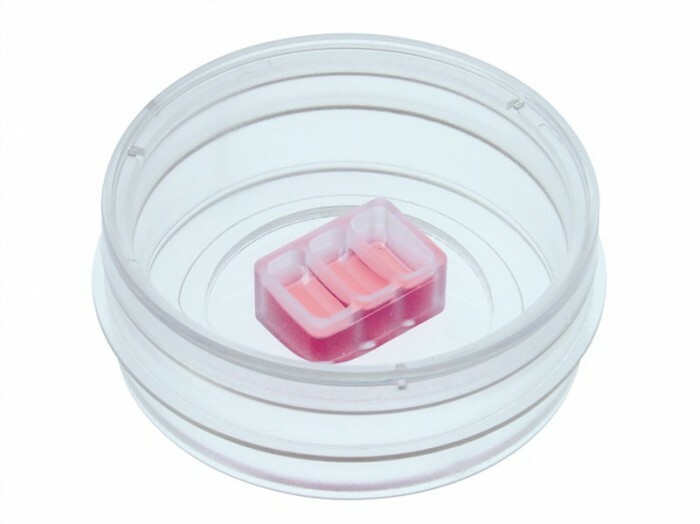 The control cells can be pre-treated with any kind of treatment (e.g., drugs, plasmids, mRNA, or virus particles). 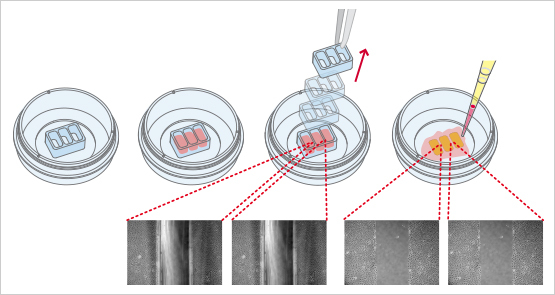 By seeding two different cell types, the invasiveness of adherent cells can be analyzed. 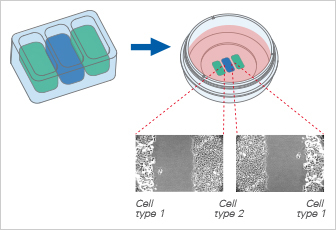 Non-invasive cell types can be cultured next to each other, sharing the same medium. 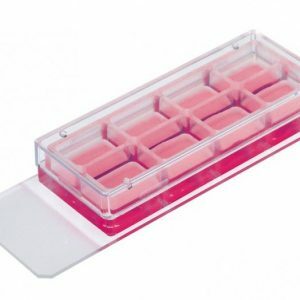 This co-culture allows the cells to communicate and share factors for differentiation studies or long-term culturing. Invasion and co-cultivated cells can be imaged by high-resolution fluorescence microscopy.